It’s not unusual in design, just a classic oak roll-top desk, now with a thick plastic cover to protect its surface artifacts from dust and human touch. 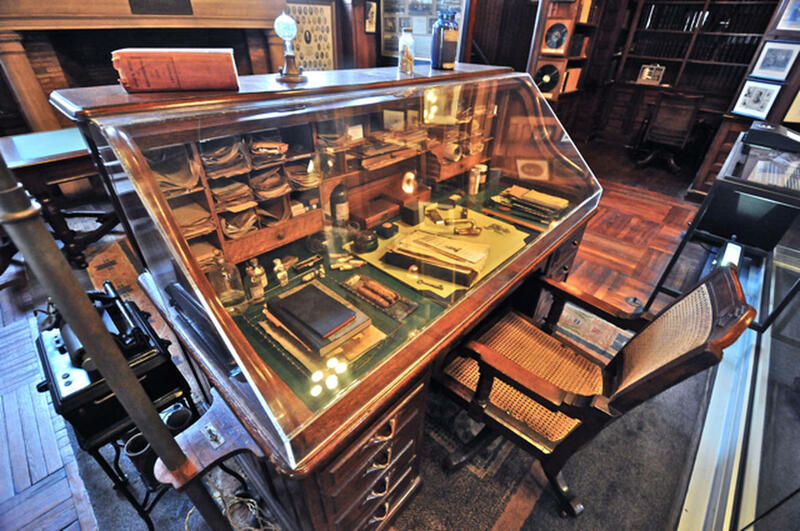 Come to think about it, this poignant reminder of the past may be one of the most photographed desks in the world. From this once raw hunk of tree, Thomas Edison made his big decisions, held meetings at, and managed the affairs of the thirty companies that made up Thomas A. Edison Industries. 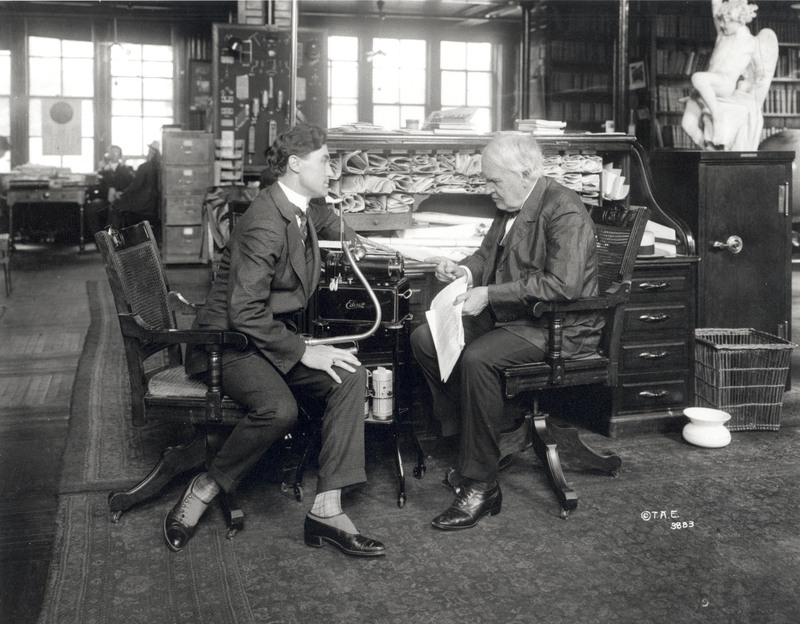 Just adjacent to it [on the left side of the desk] rests his invented voice recording instrument, soon to transform into the standard dictating machines so common in the world of business. It’s placement in his large library office is itself noteworthy. 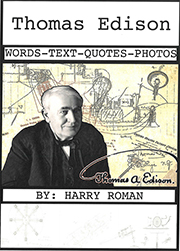 Edison knew that invention and innovation always starts with information, research, and study-of what already has been accomplished— and what could possibly be. For him, being in a constant state of learning and self-education was the key. 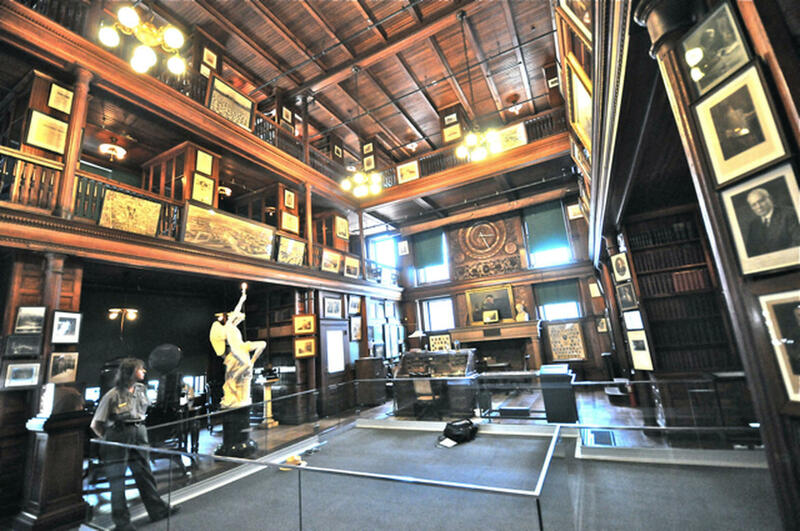 His desk sat on the ground floor of a three-level atrium which on each level were bookshelves containing thousands of books, technical journals and patent records. Our favorite cubby hole in the old roll-top desk is simply labeled “New Things”, stuffed with ideas for investigation that could someday become new products. That little compartment completely captured the essence of his invention factory [R&D labs]…where the great inventor gave us the keys to the kingdom-the process of taking raw ideas and turning them into finished products; what we call today, team-based product development….or as some technology gurus call it- technology driven progress. 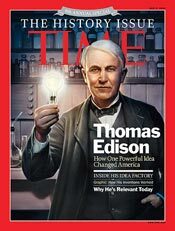 Edison always encouraged his project teams, of which there were usually 30-40 at a time, to learn and educate themselves in new technologies. All his staff could use the “corporate library”, another hallmark of modern corporations. 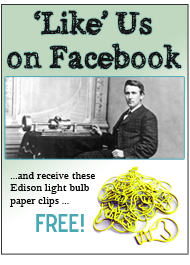 Please connect with any of the media or education materials above and email us at info@thomasedison.org about any items you found helpful. This entry was posted in Did You Know? 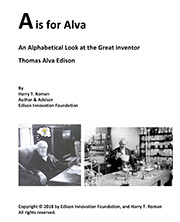 on September 3, 2015 by Edison Innovation Foundation.